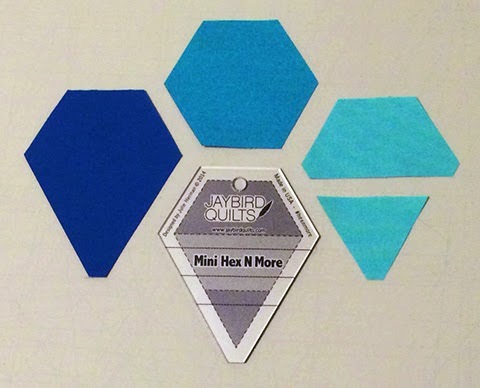 New Mini Hex N More & Mini Patterns! 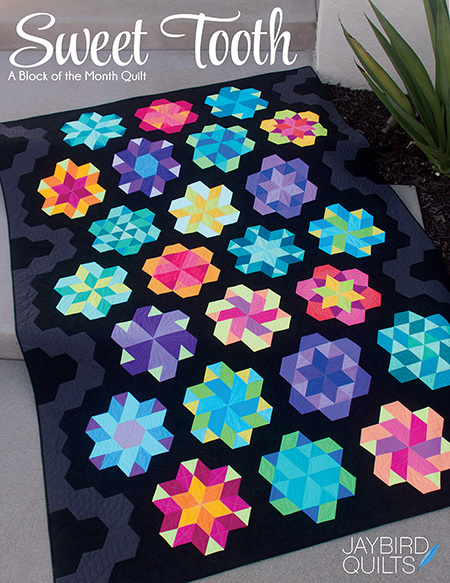 I'm very excited to announce the Mini Hex N More & Mini Patterns! Here I am last week at Road 2 California for the "Mini" debut! 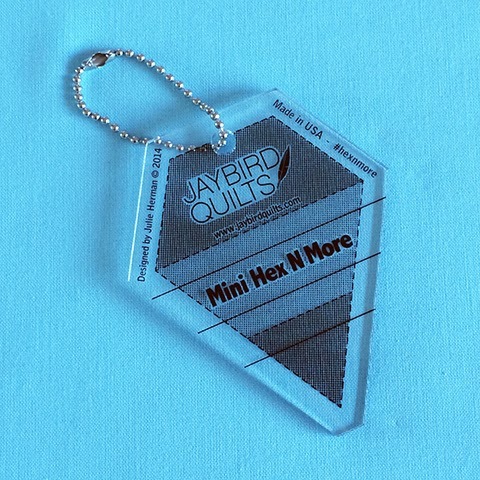 The Mini Hex N More Keychain is 3 1/2" tall and just under 3" wide. The ball and chain can be removed and you can use her to cut hexagons, half hexagons, jewels & triangles! She is very easy to use. All of the shapes are cut from 3 different size strips. 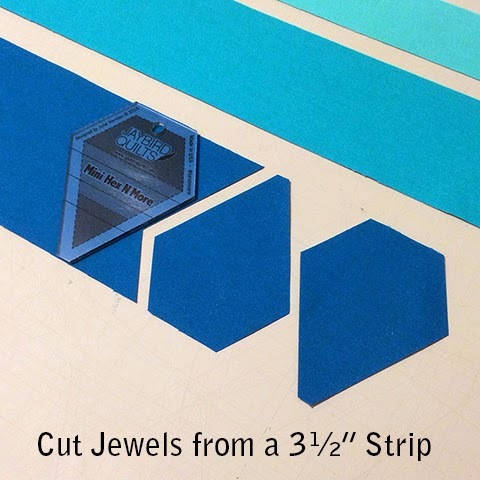 Cut Jewels from a 3 ½” Strip. 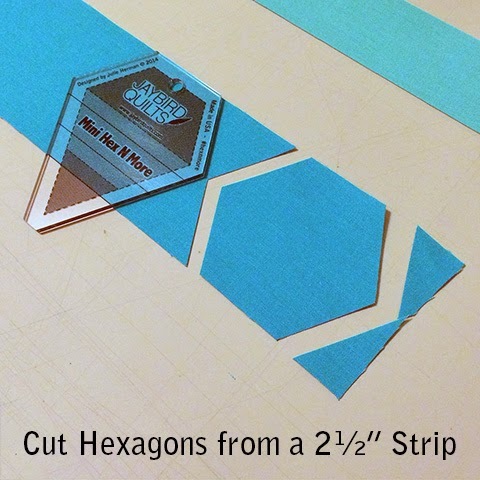 Cut Hexagons from a 2 ½” Strip. 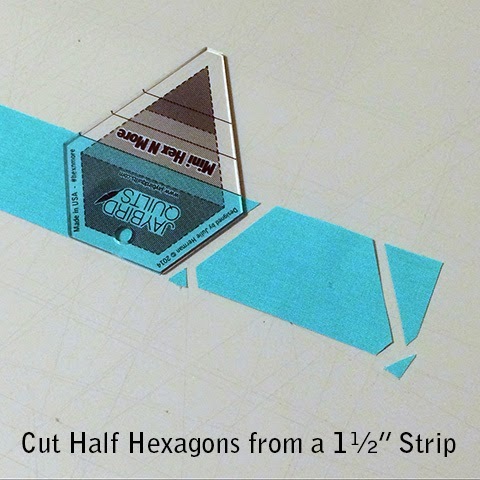 Cut Half Hexagons from a 1 ½” Strip. 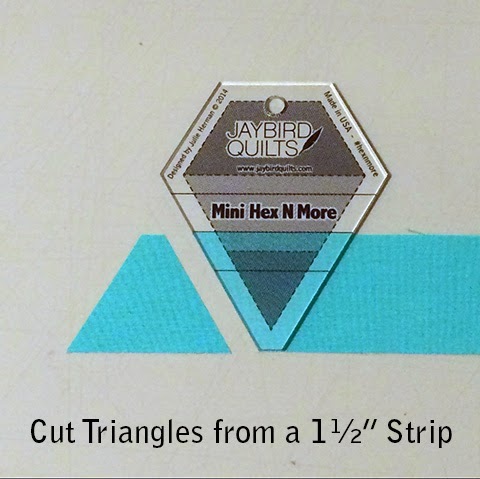 Cut Triangles from a 1 ½” Strip. Here are all the shapes! I have also filmed a video on how to use the ruler. 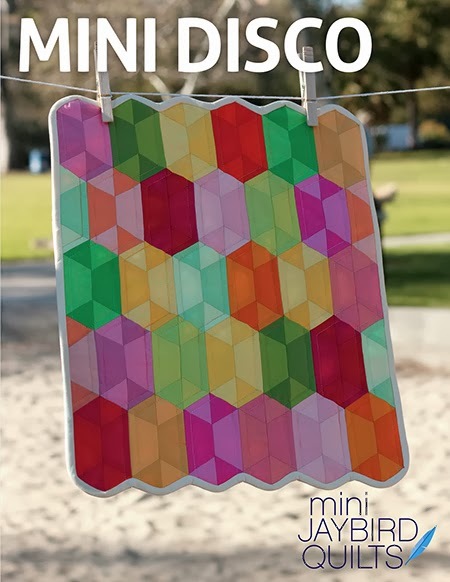 The Mini Hex N More and Mini Patterns are available now. 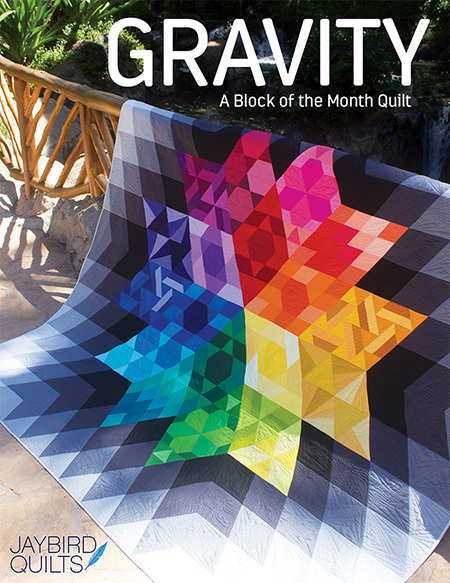 Ask your local quilt shop to order them! The patterns are printed in full color and include templates. Plus there's no Y seams! 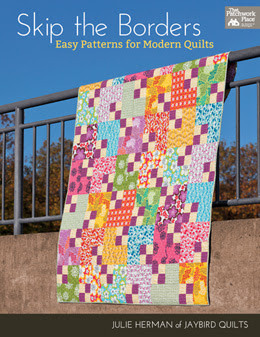 If you're working on your mini quilts and it's time bind, go with a single fold binding. Be sure to share your photos with us on social media using the hashtag #JaybirdMini so we can share in the fun! These are adorable! 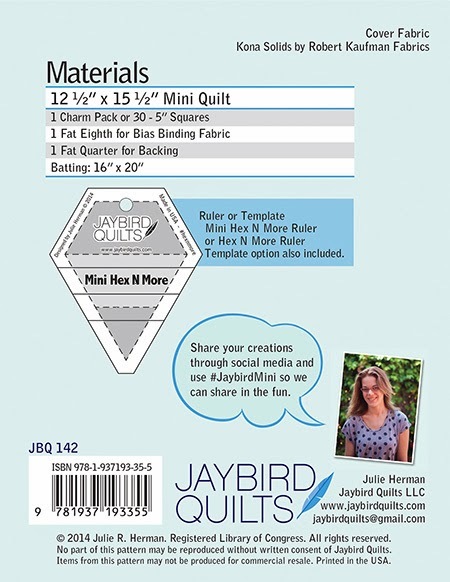 I can hardly wait to find an online shop that is carrying the mini ruler and patterns! So cute! I will definitely be getting these in my store! 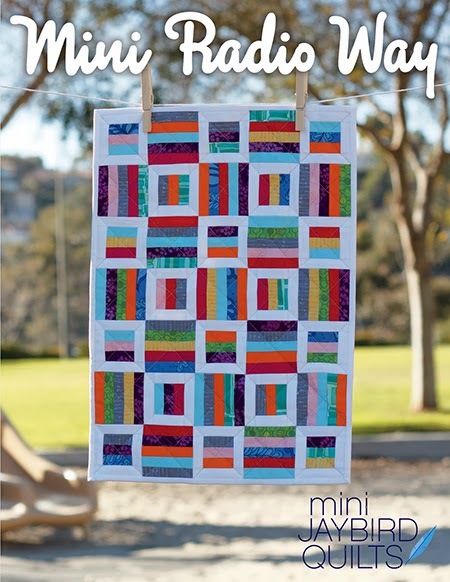 I love your quilts and I love minis. I need to find a shop in Australia that sells the ruler and patterns! So cute! I went right away to Fat Quarter Shop and got your Mini Hex and More ruler and Mini Disco pattern. I even considered hanging the ruler on my key chain. It's that cute.I have some fabric burning a hole in my cutting board just waiting for a mini quilt. Can't wait until it gets here. I love that the mini hex is a 'she'. These are just too cute…love the minis!!! 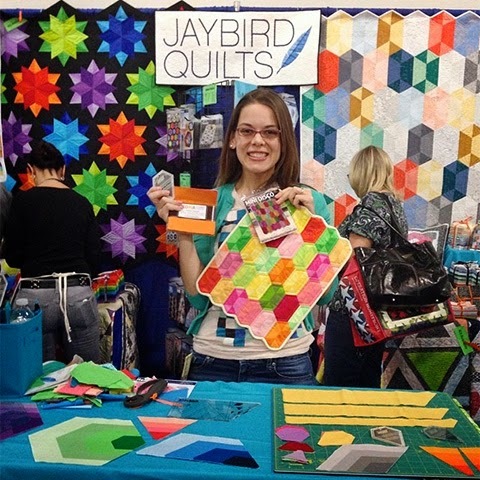 Congratulations on all of your gorgeous quilts, rulers and minis! I am now kicking myself because I did not see your booth at Road to California! I've been looking for your Sidekick ruler, to think I could have bought one from you! Now, I'm going to look for the minis too! These look like lots of fun! Though I'll have to resist them until I finish the top for my Toes in the Sand quilt! I've loved using the Hex n' More for all those blocks! Where can I find one of these awesome mini-hex key chains? 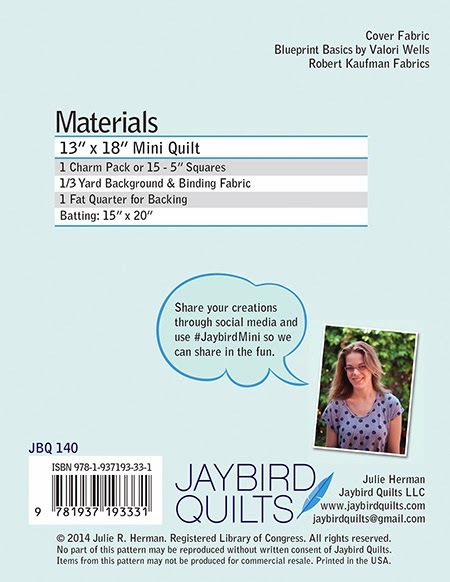 Julie, I got my Mini Hex n More & Mini Disco pattern - woohoo its coming really cute.. a little confused on the binding.. It says cut 1-1/4" bias strips. I did and pieced them no problem, but if I press WST, then sew it like that, there is not enough fabric to turn it.. should I be pressing and sewing it OPEN then turning? 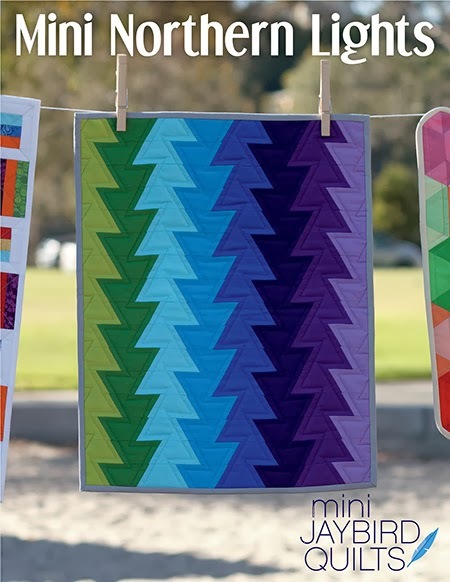 I love your mini quilts! Any chance you will make a mini Sidekick ruler to make a mini Night Sky? Are any of these patterns going to come out as .pdf files please? I live in England and have bought the mini Hex & More ruler as well at the other rulers you have and I really want to make some of these baby quilts. I have the mini ruler, can I not use it to make the Rock Candy Table topper?? I lov that topper and it would be so cute on my round table. I just love your blog. Just found you from Bonnie Hunter. 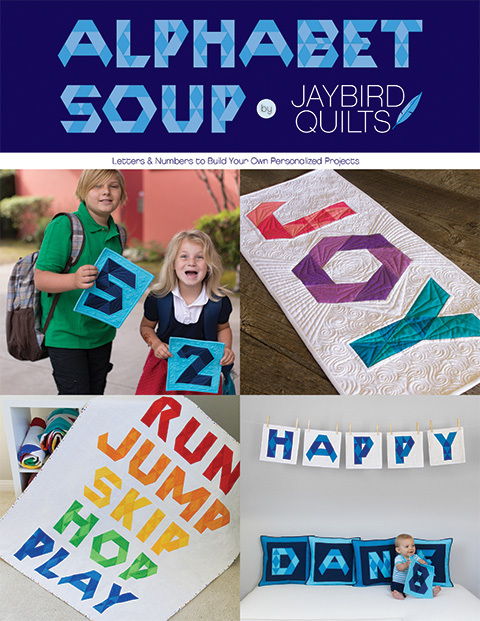 Your quilts are darling, cant wait to order your patterns. so you cut out your shape and sew a 1/4 seam allowance ? Come see us at Road to California this week! 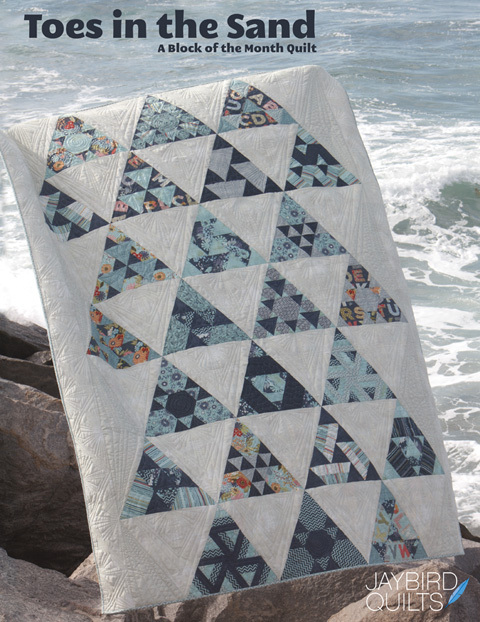 Night Sky Quilt Kit Giveway! True Colors Blog Tour Kickoff! 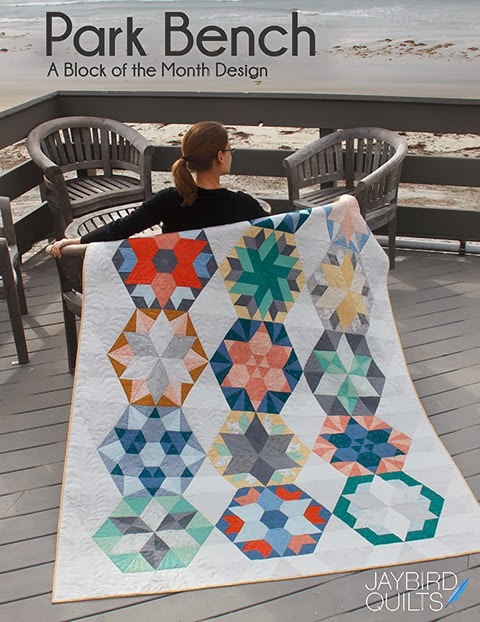 Quilt Improv Blog Hop & Giveaway!